War has never solely been a male endeavor. Winning requires the help and participation of the entire population. This frequently occurred during Colonial times. Women performed many invaluable roles that helped secure the nation’s freedom. Along with supporting the war effort at home, several women even fought as soldiers, acted as couriers and engaged in espionage. Here are a few of their stories. Known as the female Paul Revere, then 16-year-old Sybil Ludington rode 40 miles astride her horse Star to warn local militia that British troops were on the move. Redcoats had landed on the coast of Connecticut and were marching inland to destroy rebel supplies. Because Colonel Henry Ludington had to stay near Danbury to brief his soldiers, his eldest daughter volunteered to rouse the local militia. She rode through the night avoiding bandits and British patrols before returning safely in the morning. Although the militia could not save Danbury, they did force the British troops back to Long Island Sound. Frontispiece of The Female Review: Life of Deborah Sampson, the Female Soldier in the War of Revolution. Source: English wikipedia. Recently freed from indentured servitude on a farm, Deborah Samson was a dedicated patriot. Determined to aid the war effort, she enlisted in the Fourth Massachusetts Regiment under the name Robert Shurtleff. Along with binding her chest, she refused medical treatment after several wounds in order to hide her identity. Her ruse was only discovered when she fell ill with a fever in 1783 when the attending doctor placed his hand on her chest to see if she was still breathing. Samson received a veteran’s pension and was recently designated Massachusetts’ state heroine. Prudence Cummings Wright earned the moniker of Guardian of the Bridge. 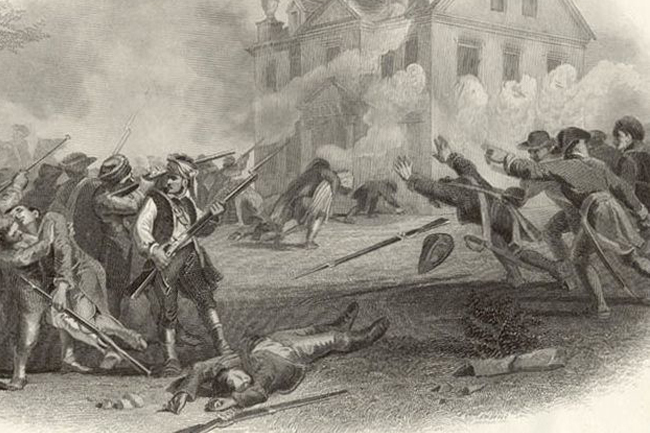 When the men of Pepperell, Massachusetts marched off to battle, the local women formed an armed militia to defend the area. Ms. Wright, known as “Prue,” was chosen as the leader. When she discovered that her Tory brother and others were smuggling information from Canada to Boston, the militia took action. The women captured the spies crossing the town’s covered bridge, confiscated their documents and held them prisoner. This prevented the British in Boston from learning about American troop movements. The Philadelphia home of Lydia Darragh was often used as a gathering place for British officers. During their meetings, Darragh would hide in a closet adjoining the room where they met. She would then smuggle the information she overheard to her son who was serving in the Continental Army. The intelligence included plans for a surprise attack against American forces led by George Washington at White Marsh in November 1777. The warning enabled the Colonial army to prepare and fight off the attack. With the British retreating back to Philadelphia, the Continental Army was able to successfully reach its winter quarters at Valley Forge. Born on Long Island, Patience Wright began sculpting wax figures to earn an income after her husband died. With the help of Benjamin Franklin’s sister Jane, Wright moved to London where she became a popular artist. Wright would hide information that she overheard during her sculpting sessions inside wax figures that she then shipped to patriot leaders in America. She even pleaded the case of independence when she had the opportunity to meet King George and Queen Charlotte. Nancy Ward, cherokee. 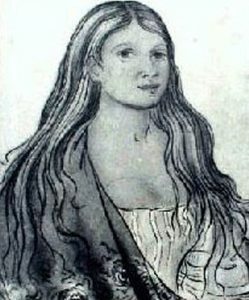 Drawing of Nancy Ward by George Catlin. Uploaded from http://www.meyna.com/cherokee.html Source: English wikipedia. Known as the Beloved Woman of the Cherokee, Nanye-hi aka Nancy Ward became a leader who could sit with the council because of her bravery in battle. She wanted peace between her people and the newly arriving settlers. Despite the Cherokee’s decision to side with the British, Nanye-hi supported the American cause. She would warn settlements of impending attacks and helped liberate captured prisoners. After the Revolutionary War, she helped negotiate the peace treaty between the United States and the Cherokee nation. Like the Daughters of Liberty, other women took leadership roles to ensure that soldiers had the supplies that they needed. Esther de Berdt Reed inspired a group of women to go door-to-door in Philadelphia collecting money and other donations. They raised $300,000. On the urging of General Washington, Reed and her associates purchased cloth and set about making shirts. 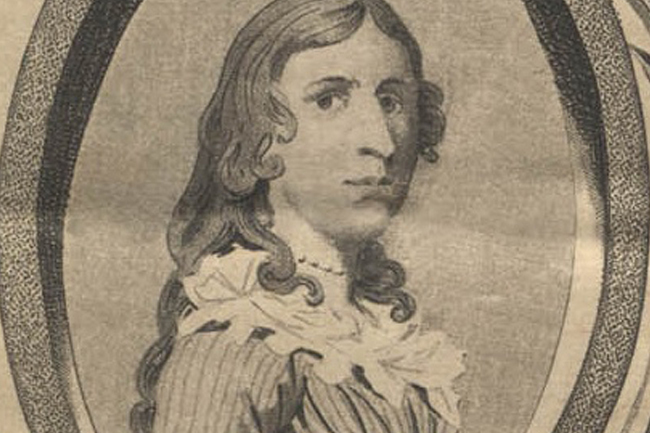 Although she died in 1780, Reed’s legacy lived on in an anonymously published pamphlet entitled “Sentiments of an American Woman” in which she encouraged politically minded women to show their support for soldiers and the American cause. The basis of the television series “Turn: Washington’s Spies,” the Culper Spy Ring was one of the most famous espionage networks during the American Revolution. Operating out of New York City, the network included a woman known only as Agent 355. More than two centuries after the war, her identity is still unknown despite her role in uncovering the traitorous actions of Benedict Arnold. Her actions helped save the fortifications at West Point and were instrumental in the capture of British spy Major John Andre. Immortalized by the moniker Molly Pitcher, Margaret Corbin followed her husband off to war. Like many other women, she was a camp follower who would help cook, clean and care for wounded soldiers. Corbin would also bring water to the front line for the soldiers to drink and cool the cannons. When her husband was killed during the Battle of Fort Washington in 1776, Corbin took his place operating the artillery piece until she was wounded in the arm and chest. Three years later, she became the first woman to be awarded an army pension. Known as the Heroine of the Battle of Cowpens, Catherine Barry was an excellent equestrian. She also knew all the trails and shortcuts near her South Carolina plantation. As a result, she served as a scout for the American army. She played a critical role in alerting Colonial forces about British troop movements before the battle that took place on January 17, 1781. Barry rode her horse rounding up local militia to assist General Daniel Morgan. Her actions helped the Continental Army win a decisive victory. Detail of the Painting, Battle of Germantown. Source: English wikipedia. A resident of Virginia, Anna Marie Lane was the first documented female to serve as a soldier. 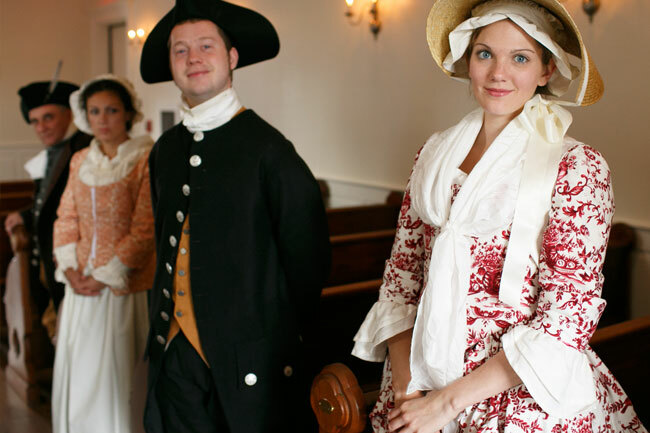 She dressed as a man and accompanied her husband when he enlisted in the Continental Army. The two would fight side-by-side through numerous engagements from 1776 until 1781. She was awarded a pension for her heroic actions during the Battle of Germantown. These are just a few of the many women who played important roles in the American Revolution. Many participated as nurses and domestic servants while others stepped out of traditional societal norms to risk their lives and safety in the cause of freedom. Some received pensions for their stints as soldiers. While the stories of many women are celebrated, others remain untold but are still an essential part of the birth of our nation.